The Value Management Handbook is a comprehensive, practical reference written specifically for bank and insurance valuation and value management. 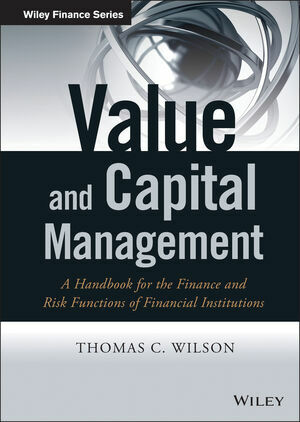 Spelling out how the finance and risk functions add value in their respective spheres, this book presents a framework for measuring – and more importantly, influencing – the value of the firm from the position of the CFO and CRO. Case studies illustrating value-enhancing initiatives are designed to help Heads of Strategy offer CEOs concrete ideas toward creating more value, and discussion of "hard" and "soft" skills put CFOs and CROs in a position to better influence strategy and operations. The challenge of financial services valuation is addressed in terms of the roles of risk and capital, and business-specific "value trees" demonstrate the source of successful value enhancement initiatives. The roles of CFO and CRO in financial firms have changed dramatically over the past decade, requiring business savvy and the ability to challenge the CEO. The Value Management Handbook provides the expert guidance that leads CFOs and CROs toward better information, better insight, and better decisions. THOMAS C. WILSON is the chief risk officer for Allianz Group, where he is responsible for global risk controlling and risk management policies and guidelines. He has spent nearly 30 years working in finance and risk for such companies as UBS, McKinsey & Company, Swiss Reinsurance, Oliver Wyman & Company, and ING.